What is the eligibility criteria for the H1B1 Visas? H1B1 Visas belong to the category of the H-1B Visas; H-1B it is the type of Visa for which more than 90% of foreign students who wish to work in the USA apply for. It is reserved for people who possess a bachelor’s degree and have a job offer to work in the US. In some cases previous work experience can be counted instead of the degree. Only 65,000 H-1B Visas available are in a year and it attracts many specialized workers from around the globe to the US for employment. Now, H1B1 is a variant of the H-1B Visa; H1B1 Visa is only issued to citizens of Singapore and Chile. Only 5400 Visas for Singaporeans and 1400 for the citizens of Chile are issued every year. Let us check what the eligibility criteria are for the H1B1 Visas. H1B1 Visas belong to the category of the H-1B Visas; H-1B it is the type of Visa for which more than 90% of foreign students who wish to work in the USA apply for. It is reserved for people who possess a bachelor’s degree and have a job offer to work in the US. In some cases previous work experience can be counted instead of the degree. Only 65,000 H-1B Visas available are in a year and it attracts many specialized workers from around the globe to the US for employment. If a foreign worker in H-1B status quits or is dismissed from the sponsoring employer, the worker must either apply for a change of status, find another employer (subject to application for adjustment of status and/or change of visa), or leave the United States. The H-1B is valid for up to three years and can be extended accordingly, but you cannot spend more than six years in H-1B status. 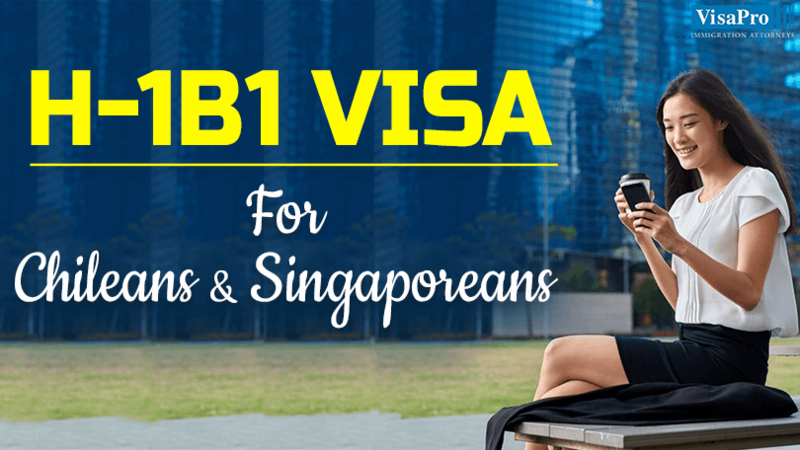 Now, H1B1 is a variant of the H-1B Visa; H1B1 Visa is only issued to citizens of Singapore and Chile. Only 5400 Visas for Singaporeans and 1400 for the citizens of Chile are issued every year. Let us check what the eligibility criteria are for the H1B1 Visas. Bachelor’s Degree/Work Experience- Like the H-1B Visa, the H1B1 Visa also requires a bachelor’s degree or previous work experience can be counted instead of the degree in some cases. •	For Chileans only – Agricultural Managers and Physical Therapists. •	For both Chileans and Singaporeans – Disaster Relief Claims Adjusters. Specify the Employer-Employee relationship- When applying for the H1B1 Visa; it is necessary to establish a clear relationship between the applicant and the employer. You cannot apply on the basis of self-employment or as an individual entrepreneur. Non-immigrant intent- People who hold the H1B1 Visa have a partial immigration intent i.e. 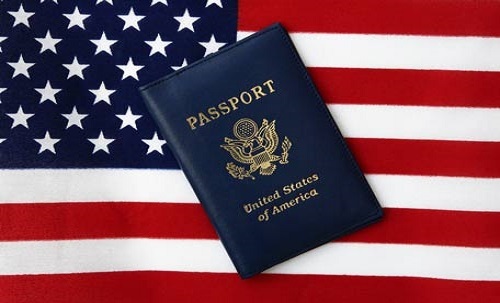 you must establish that you are coming to the U.S. temporarily and after the completion of your work assignment you will depart the U.S. To make sure of this you need submit proofs that you have a residence abroad and no immediate intention of abandoning that residence. Renewal every year- Unlike the H-1B Visa there is no six year limit, but you need to renew the status of your H1B1 Visa every year. In case you have file the LCA (Labor Condition Application) then you need renew it every two year. Moon to have its own 4G Network! Why you don't book a flight tickets to Dubai now before tomorrow! !